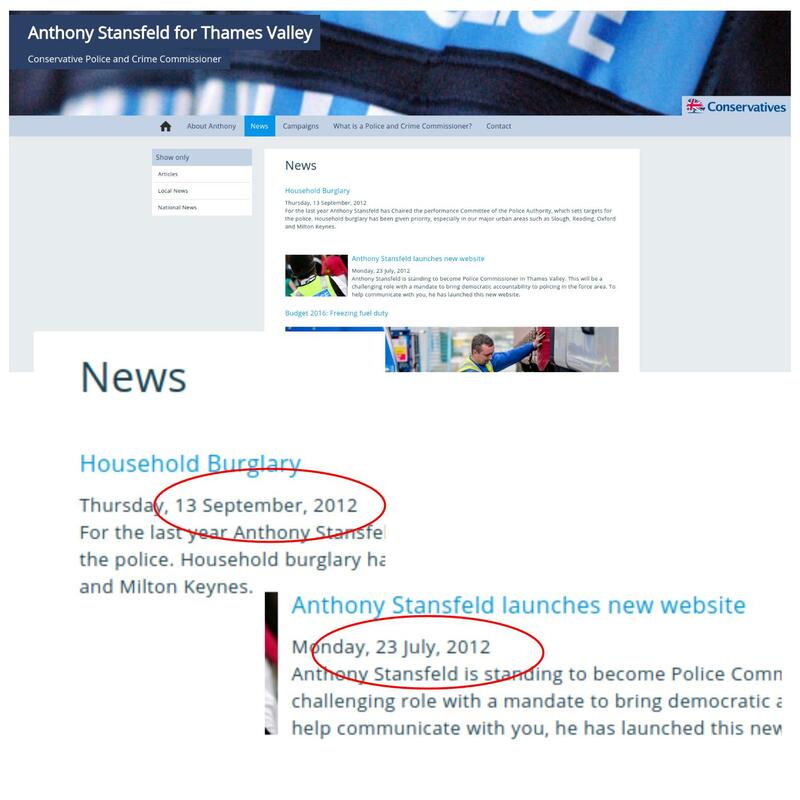 Anthony Stansfeld is evidently pulling out all the stops in his campaign to be re-elected as PCC for Thames Valley. 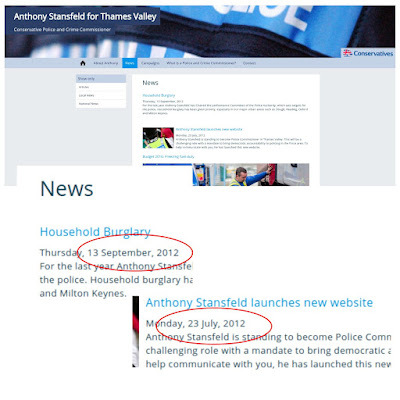 He has relaunched his campaign website which is filled with stock national news items from Conservative Party HQ. The other local news items are... maybe a tad out of date? ... or is that old news?